Synthetic Ice Rinks and shooting lanes for indoor or outdoor use. 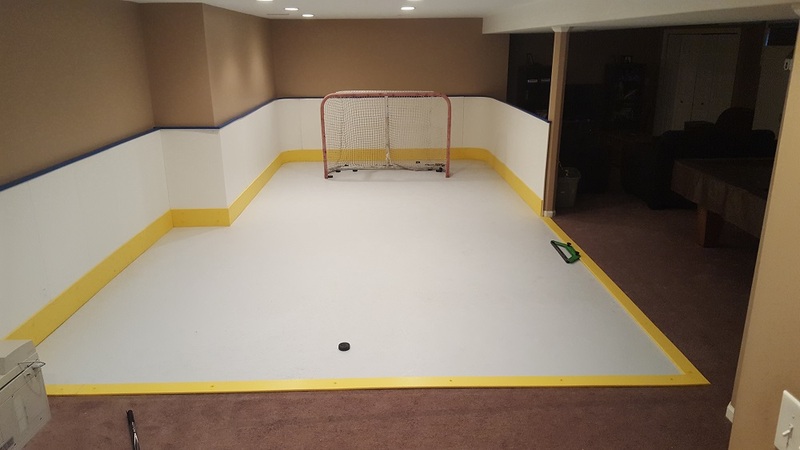 Great for basement rinks, rinks on sports court pads, and even rinks in garages. When looking for a low maintenance alternative to conventional ice that is not weather dependent, synthetic Ice is your answer. Synthetic ice is a very productive and fun way to continue your training when conventional ice is not an option. There are no costs associated to maintain, can be used in any weather conditions, easy to install and 100% non-toxic and recyclable. 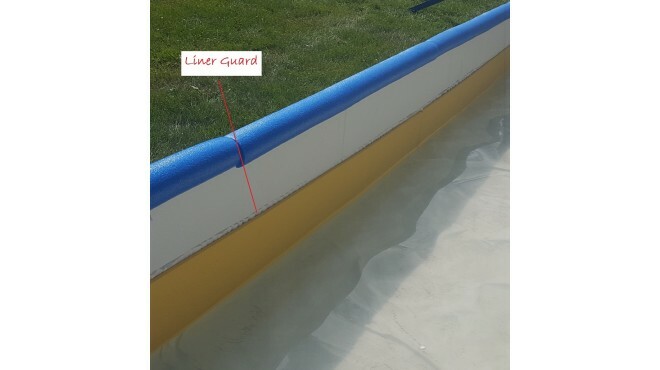 Making synthetic ice the preferred choice for customers building their indoor and outdoor sports enclosures and shooting lanes. 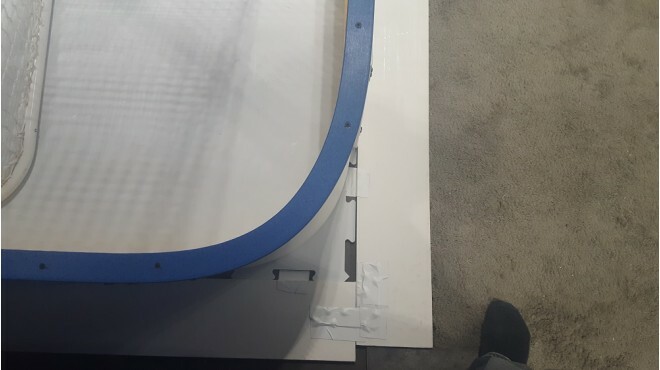 Just as important as the synthetic you choose for your project are the rinks boards, mounting brackets and trim that a really make your rink come together. 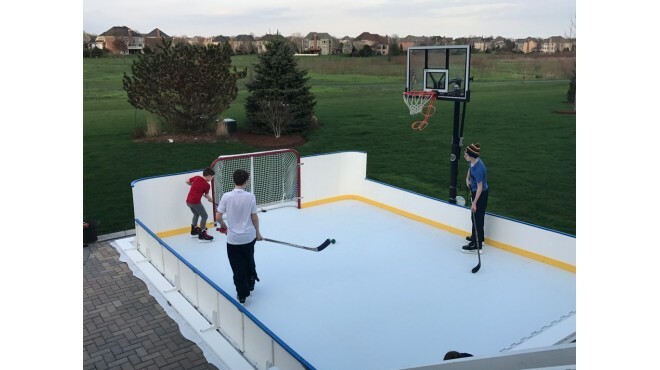 What good is a sheet of ice without any walls to retain pucks or help with hockey play! This is where Iron Sleek can assist and provide solutions. 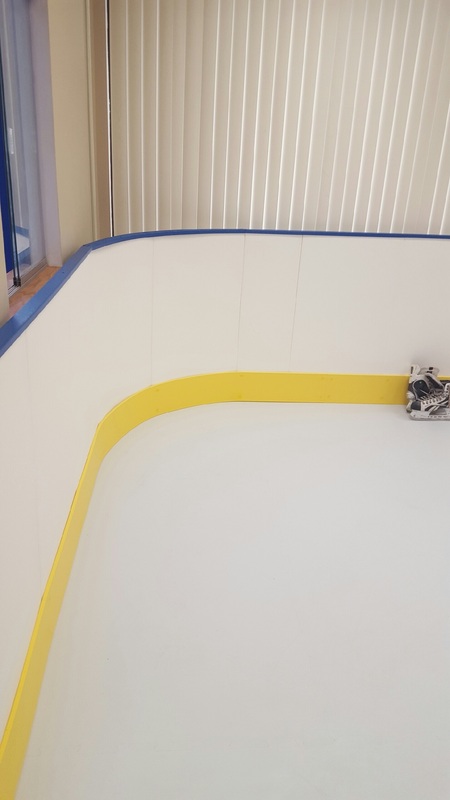 We work with customers and contractors to design and build a synthetic rink that best fits your application no matter how unique or custom the layout. 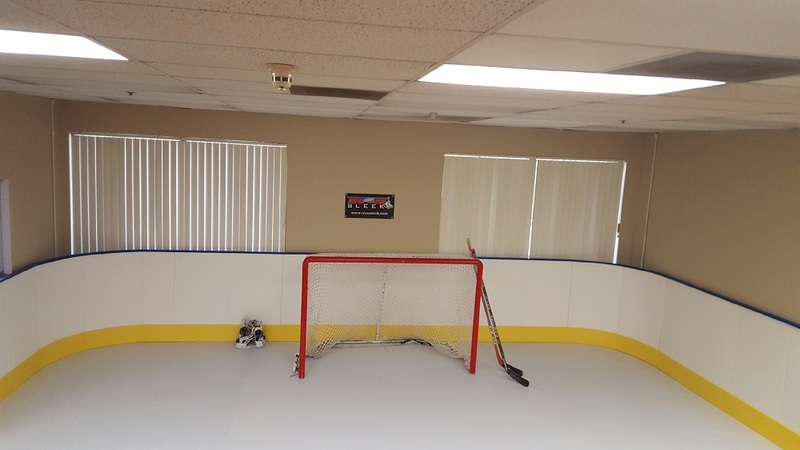 By working closely with the synthetic ice manufactures we can guide you to a favorable synthetic ice solution depending on your budget and expectations. Iron Sleek provides a one stop shop solution for all your indoor or outdoor synthetic rink projects. Check out this PDF that shows everything you need. Because of the many benefits synthetic ice is the preferredchoice of customers building indoor and outdoor sports enclosures and shootinglanes. 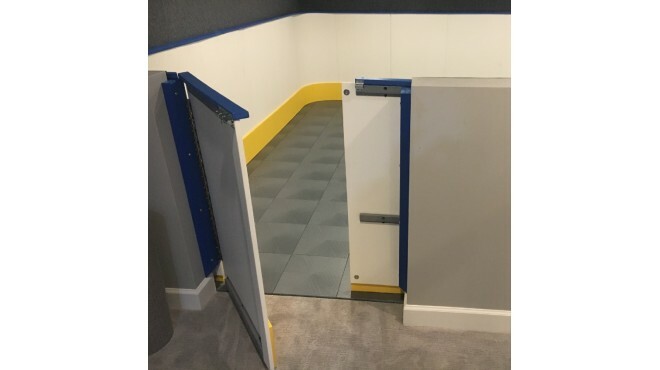 When used in conjunction with theIron Sleek Poly Steel boards and mounting brackets your area can be transformedinto your very own synthetic ice arena. 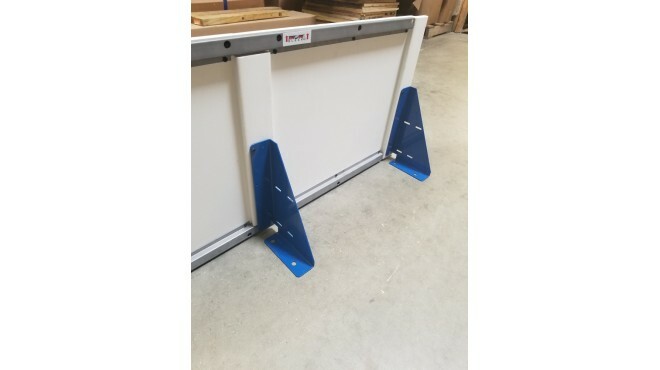 Great for basement rinks, rinks on sports court pads, and even rinks ingarages. Iron Sleek can help guide you in deciding on the correctsynthetic ice for all your indoor or outdoor applications. Indoor synthetic sheets need only be3/8" thick while outdoor is offered at 1/2" thick to better enduresub-zero weather. 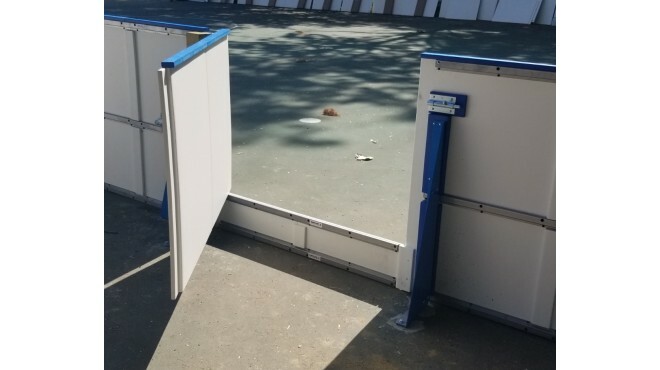 Panels can be cut tofit right into your space and could be easily converted in the winter to becomea real ice rink with our many ice rink components. Synthetic ice is beneficial and enjoyablebecause you are actually skating with your ice skates. Nothing can duplicate the true sensation ofreal ice but synthetic allows you to duplicate many of the same skating movesthat can be accomplished on real ice for both hockey players and figureskaters alike. Synthetic ice is truly the bestalternative to conventional ice. It is anawesome skating surface that is very enjoyable. 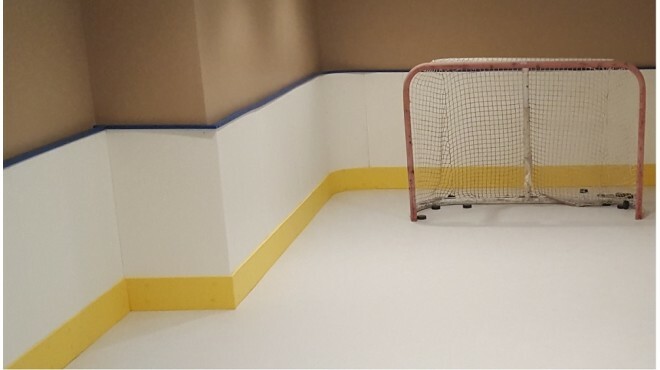 Synthetic ice comes in various sizes with 8' by 4’ being the most common for large rinks. 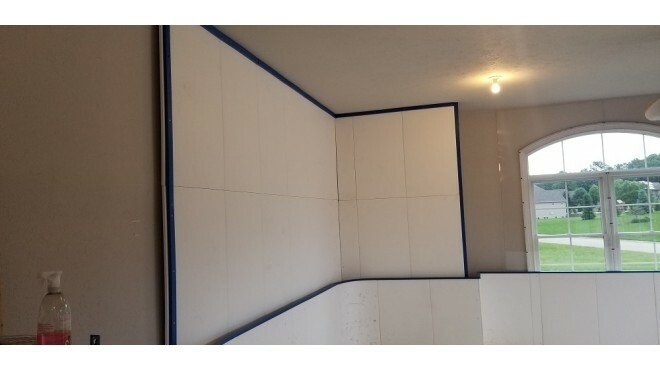 Smaller panels are also available for transporting into basements that are not as easily accessible. The ice is made using anengineered HDPE formula that is optimized for reduced friction, betterskatability, and optimal wear resistance. 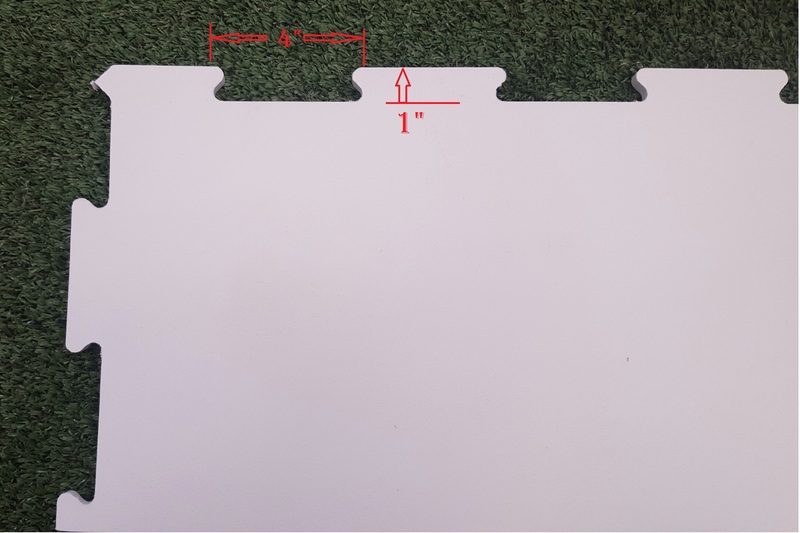 The high-density poly sheets come with a CNC machined dovetail or jigsawpattern for assembly. With a fit that isprecise and a slight interference to minimize friction, it is optimized forstrength with no distortions over the low-cut profile. 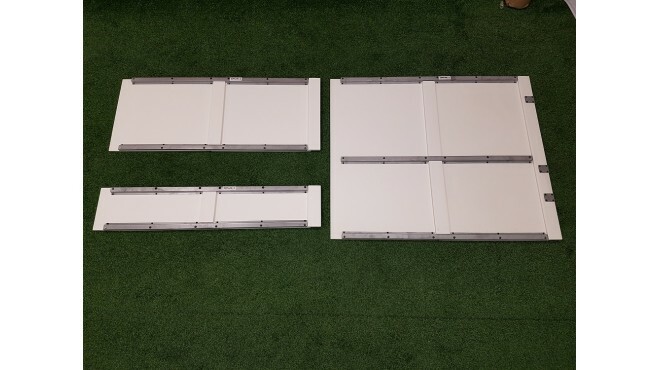 Most of all the poly sheet easily fitstogether for assembly so that anyone can install. You will beamazed! 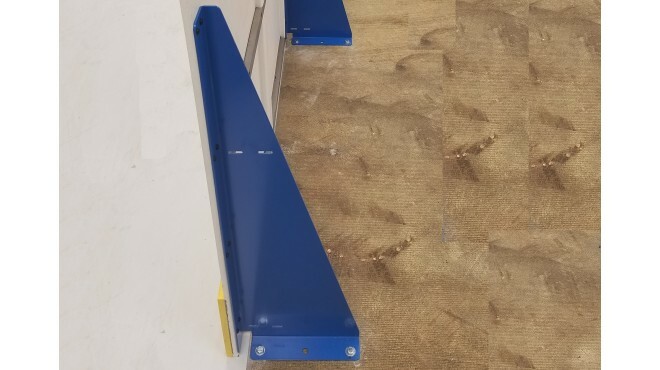 Image below illustrates a synthetic panel’s dovetail or jigsaw for easy connection. Coaching experts will agree the most effective way to practice stickhandling is on your own skates. Synthetic ice provides a great surface for hockey training, shooting, or for just tooling around on your ice skates. We can customize to fit your space. Doors, removable access panels and we can wrap around stepped walls. Iron Sleek is your one stop shop for any synthetic ice rink project. 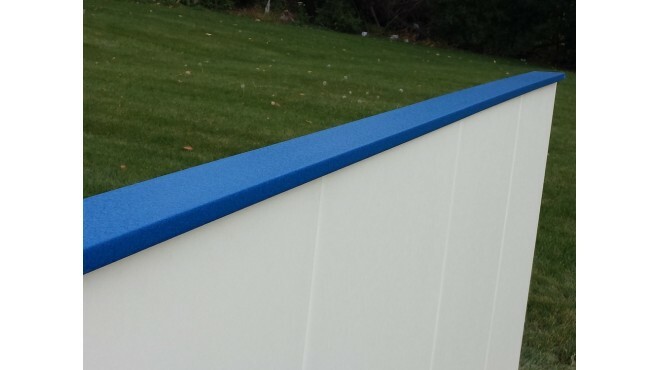 Not only do we manufacture the boards and brackets, we have the experience and knowledge to help design and tailor the recreational rink of your dreams. We do it all! Call us today to start planning your next project or start shopping for a shooting lane.